Lateral thinking means taking a creative approach to a problem or challenge. It's a great skill to have at work. Here we'll talk you through what the ability is, and give some examples of lateral thinking skills. 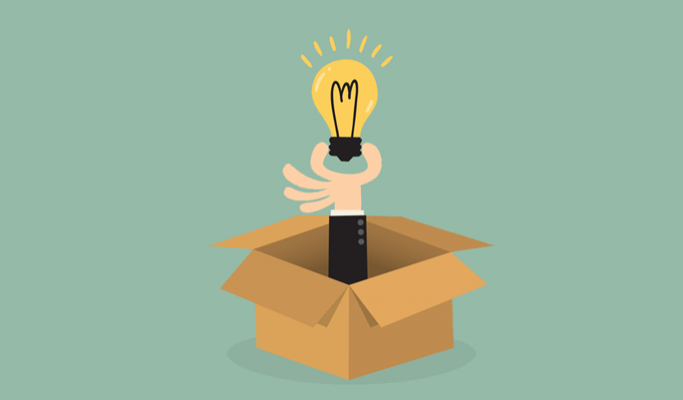 It essentially means being able to think creatively or "outside the box" in order to solve a problem. Usually, logical thinking is used to solve problems in a direct, straightforward way (also known as vertical thinking). Lateral thinking however, looks at things from a sideways perspective (also known as horizontal thinking), in order to find answers that aren't immediately apparent. The term was first coined by psychologist Edward de Bono. These skills are often required in creative careers like marketing or advertising. If you study graphic or art and design at school, there's a good chance that you will have developed some of these skills already, which can be useful in your future career. These questions are particularly popular with job interviewers. Not only do they test your ability to think creatively, but they can also reveal your problem solving skills as well. If you're someone who enjoys playing puzzles or working out brain teasers, then you may already be good at answering these types of interview questions. Name an ancient invention still in use in most parts of the world today that allows people to see through walls. Answer: The window. An Australian woman was born in 1948 but only celebrated her 16th birthday quite recently. Why? Answer: She was born on February the 29th. Or you may simply be asked: Can you give us an example of a difficult situation where you had to think laterally to get out of it? This question is actually more difficult that it might seem. A good place to start could be to think of a time when you did something creative and came across a problem, then explain how you resolved it by using some sideways thinking. Improving these skills can be challenging as lateral thinking comes more naturally to some people than others. However, like everything else, practice makes perfect, and setting yourself lateral thinking examples can help. Because this type of skill is "situational" and displays a thought process rather than something physical (like IT skills for example), it can be tough to come up with ways of boosting your ability. Mind maps can be a great way of solving a problem when logical thinking just doesn't help. Because mind maps are visual aids, they require your brain to adjust its thought processes, which can often help you find answers unexpectedly. Mind maps give you the opportunity to put all your ideas down on paper and then take a step back to gather your thoughts. We all have five senses – sight, touch, hearing, smell and taste – yet we very rarely use all of them to solve problems. Typically, you use our visual senses to work things out but making use of our other senses can sometimes have useful results. For example, when faced with a problem, why not speak your thoughts aloud and record them on your mobile phone? When you listen back, you may find something that you would have missed otherwise. Reverse thinking involves analysing what people normally do in a situation and then doing the opposite. If you find yourself only getting so far into a problem and them becoming stuck, you might want to start at the end and work backwards. For example, look at the problem and then describe what you'd ideally like the solution to be. From there, you can begin working backwards to find the starting point to your solution. What careers use lateral thinking? People who work in advertising use this type of thinking to persuade us to buy products. If it's often those adverts that make us think or a little different that we remember the most. Marketers often have to come up with novel or creative ways to promote products and services. Although there are some rules in marketing, it's often the campaigns that bend the rules slightly that are successful. Working in the media, you may have to use these thinking skills to deliver a message in a creative way. Whether you're a journalist, filmmaker or press release writer, some sideways thinking can come in handy. Hopefully all those examples of lateral thinking have helped you to understand what it's all about and why it could be useful in your career. Now it's time to check out those other employability skills you need to make it in the world of work.